The complete Professional Scrum series from Scrum.org, including certification classes. Scrum For Executives, Agile Requirements: Product Owner and Team Collaboration Techniques, and many many more. Our courses can be tailored to fit your needs. 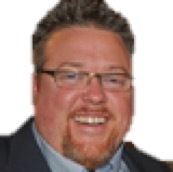 Charles Bradley is the CEO and lead Professional Scrum Trainer at AgileSoftwareTraining.com.